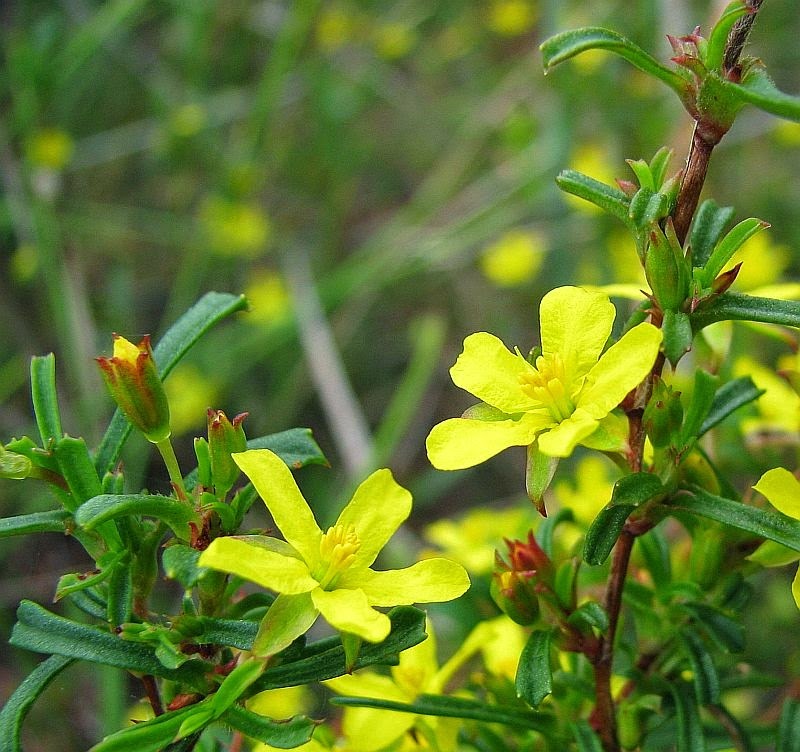 This Hibbertia is a WA endemic and would be one of the most common Hibbertia species in the State. 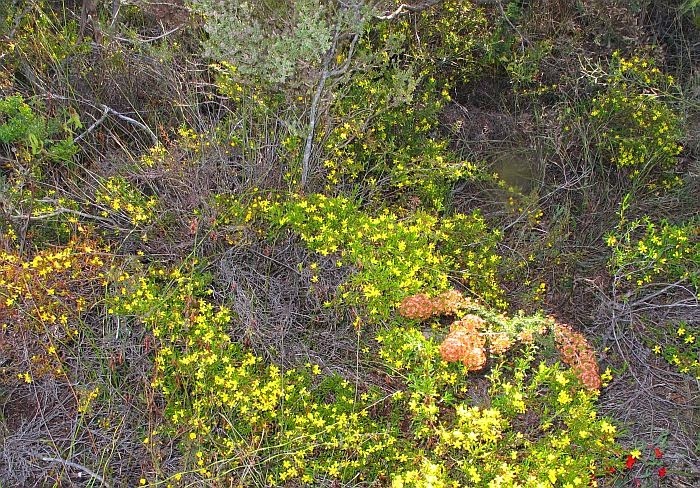 It prefers coastal heath and near coastal environments, being equally at home in calcareous or non-calcareous sandy soils, where it forms rambling colonies especially after fire, or when the soil has been disturbed. 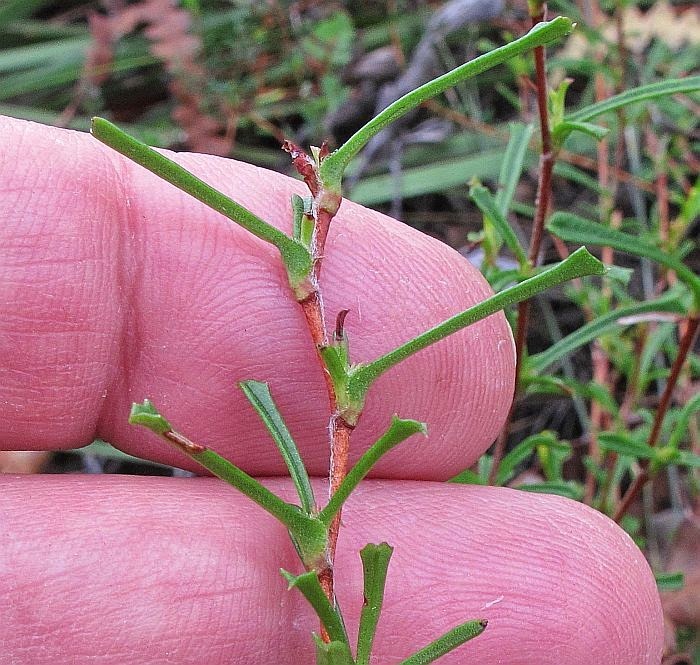 It can at times be weed-like for a few years before being pushed out by larger vegetation. 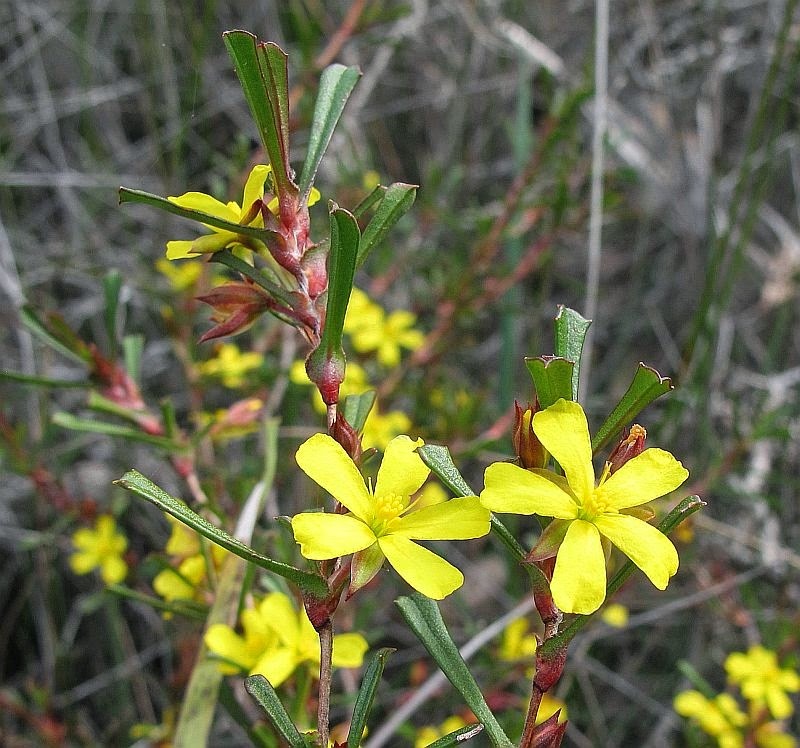 Hibbertia racemosa occurs in a 100 km (60 mile) or so wide band around the coast (wider in the SW), from a little north of Kalbarri to Israelite Bay a distance of around 2,000 km (1240 miles), thereby crossing several climate zones, so certainly a highly adaptable species. It is also long flowering from May to December, providing there is reasonable rainfall. Australia has by far the majority of Guinea Flowers, with currently around 150 species, although others also occur on some Pacific Islands. 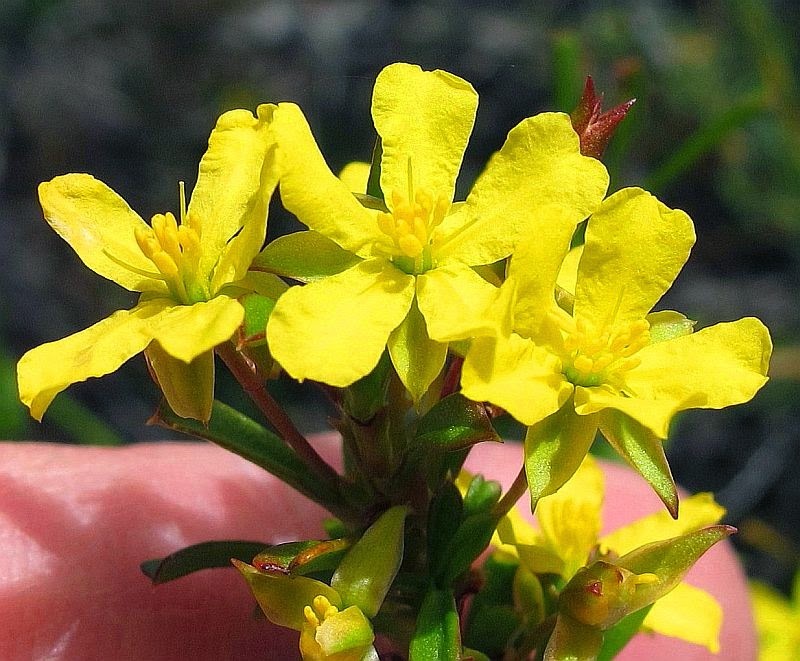 Consequently a number of features are used for identification of this sizeable group, but basically the flowers of Hibbertia racemosa have three carpels and three bundles of stamens, each bundle with three attached stamens, plus one or two additional ones being quite free. The flowers are on long peduncles (stalks) of around 3 cm (11/4”) in length, whereas the leaves have a distinctly enlarged base, which sheath the stem. There are other species with similar features, but not all together. 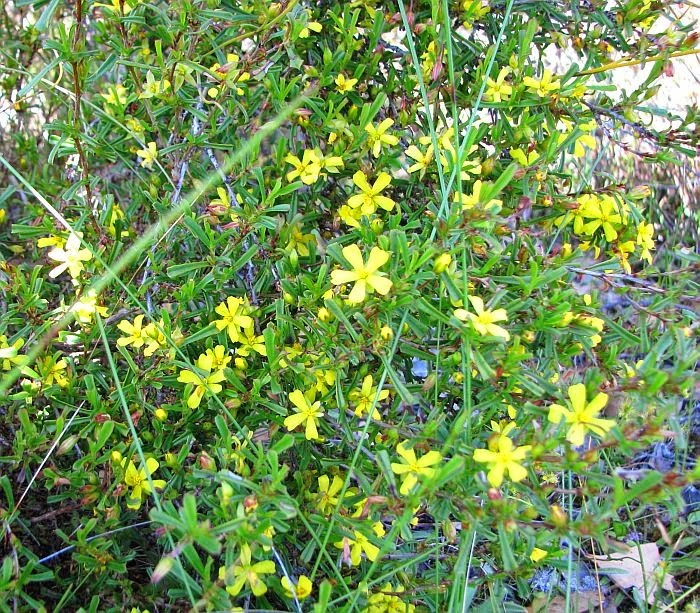 The flowers are around 1.5 cm (5/8”) in diameter and quite prolific on rambling plants that lean on other vegetation, or are irregularly upright. Mostly they are around 30 cm (12”) in height, although some can reach twice that size. 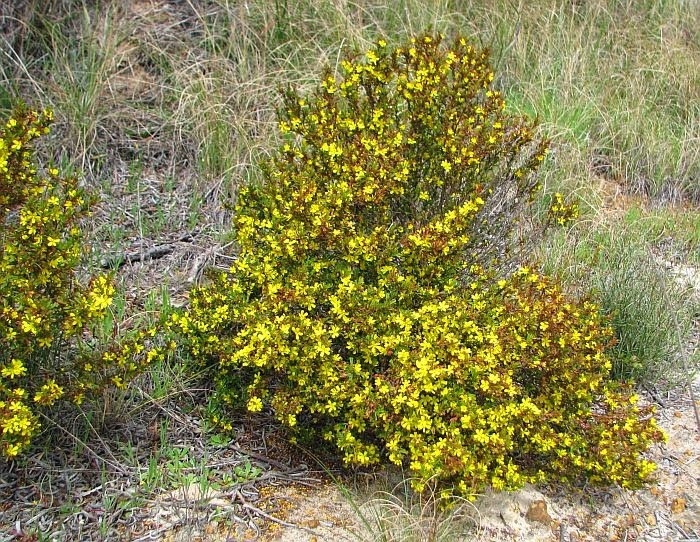 The Hibbertia genus is part of the Dilleniaceae family.